Re: Is anybody happy with the Brexit white paper? There are ferries operating from the UK which would be suitable, but no operator has the fleet redundancy to allow them to pull vessels off an existing route to service another one. Whoever took the Ramsgate-Oostende route on would have to charter ferries specifically for it. Like most UK ports, Ramsgate requires constant dredging. Part of the recent issues have been because Thanet expected HMG to pay for it & HMG said no.....you have to wonder why this wasn't factored in when HMG looked to restart the route, unless they chose to ignore it. I’m forming a new charity. It’s not too late to get Princess Anne wet again. Disclaimer-I have spell/grammar checked this post, it may still contain mistakes that might cause offence. Bit late for Princess Margaret, though. More disgusting propoganda from the anti-Brexit BBC tonight for you pro-leave supporters to complain about! Radio 4's 'More or Less' looking at the claims that 1/3rd of British companies will leave the UK post-Brexit. Turns out the IOD's survey only included large companies, with more than 60% of them doing most of their trade outside the UK. And all the media stories miss out an important part of the actual question asked...."Are you considering moving or setting up operations outside the UK?" In other words, the claims in the media are wrong. What would really be a shock is if the pro-Leave people who repeatedly accuse the BBC of being biased ever admitted that they're wrong about that. Oh, look, a flying pig in close formation with a unicorn !! Brevet Cable wrote: Oh, look, a flying pig in close formation with a unicorn !! is that coming in for RIAT? Anyway, I haven't seen any news yet today - I presume this Brexit nonsense is all sorted out now, right? Well done everybody, sterling work. Brevet Cable wrote: More disgusting propoganda from the anti-Brexit BBC tonight for you pro-leave supporters to complain about! Yep, but this is the BBC correcting the BBC, but I see that there aren't any pro-Leavers rushing on here to admit that the BBC isn't biased like they claim it is. Ho, hum.....Greyling invoking the 'A big boy did it and ran away' argument. "It's all Arklow's fault, nuffink to do wiv me, guv"
Brevet Cable wrote: Ho, hum.....Greyling invoking the 'A big boy did it and ran away' argument. And the bit other MPs didn't challenge him on, the fact that ( according to him anyway ) they only identified which vessels they were planning to charter/buy "a few days ago" but they hadn't commenced negotiations yet. 'The EU has reiterated it will not renegotiate the withdrawal agreement. But Mrs May will tell Parliament she still believes it is possible to get a deal that MPs could support. Will somebody, anybody, please have a quiet word with this delusional nitwit. How many times does she need to hear it before she accepts that the EU aren't going to budge? CJS wrote: Will somebody, anybody, please have a quiet word with this delusional nitwit. How many times does she need to hear it before she accepts that the EU aren't going to budge? I’m starting to think that she does accept it, and has always accepted it, and is running down the clock regardless. She’s without doubt the most incompetent PM for (several) generations, but even I didn’t think she’d drop to those depths. 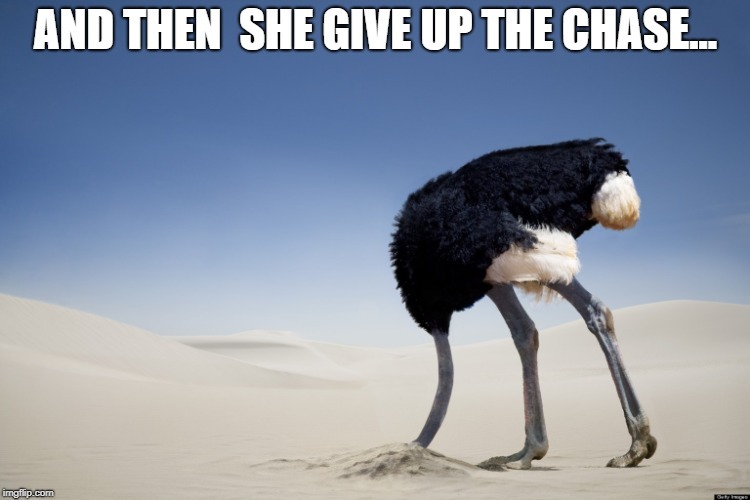 However, each day of incompetence, and blathering, and puff, and nonsense speeches, and staring a brick wall in the face and insisting it’s a door, and boring press conferences I take more and more seriously the view that she intends us to drive us straight over the edge without a deal. It’s getting frighteningly close now. And the worst thing is that there are people in her own Party who could get rid of her - or help the other Parties do so - but won't because they're either still playing Party politics or are worried about losing their seats. Brevet Cable wrote: And the worst thing is that there are people in her own Party who could get rid of her - or help the other Parties do so - but won't because they're either still playing Party politics or are worried about losing their seats. Do you think there might be a late coup? One can only hope. Perhaps she has always intended to fall on her sword very heroically at the last gasp, when all else seems lost and the stubborn, unyielding EU just won't even listen to me anymore (sob...) and pull the plug on the whole thing. Then of course she can just step down (do a David) and let someone else come in to sort out the mess++. Scarily, on Friday ships will begin to set sail from British ports with no guarantee that their goods will be accepted at their destinations in the Far East. Exporters have little choice to take a risk and take a punt. Regardless of whether a deal happens and all is fine, the uncertainty right now caused by the Tories and Labour is rotten. Not for over a hundred years has a peacetime Britain been chucked around so much by its politicians. This isn’t normal, guys. We don’t have to do this. And going further, it’ll probably ruffle a few feathers, but if anyone actually supports *this* Brexit, the one we have right now, not the idea or the promises or the sunlit uplands or the comforting lies, if anyone supports what we have right now, I call you a fool. Things may change tomorrow. The agreement may be done. But right now, with everything in limbo, at this moment anyone who said they voted for ships leaving port not knowing what the status of their cargo will be at their destination is the most craven of idiots. Tommy wrote: Scarily, on Friday ships will begin to set sail from British ports with no guarantee that their goods will be accepted at their destinations in the Far East. Exporters have little choice to take a risk and take a punt. And as Ian Blackford ( SNP ) has just said, the reverse is also true.....there are cargo ships sailing from the Far East which will be arriving in the UK which will be in the same situation with not knowing what restrictions tariffs they'll face. The devil in me wants to say this this your typical Brexiteer, but I like to think I'm a bit more sensible than that. To be fair to Leave supporters, James Goddard is just one of a number of thugs & scrotes who have hijacked Brexit for their own ends. Sorry, but surely people don't seriously believe this do they, sea travel from UK to Far East and the other way takes approximately 6 to 8 weeks (depending on port of arrival/departure in the far east) which if they all leave on Friday the 15th Feb will mean they should arrive by 29th March, so brexit will not affect them at all, and even if they arrived after the 30th March nothing will happen either as all stuff that is on contract/ordered/in transit will be dealt with under current rules, one only has to read the documents that were produced by the government last year that I have linked to before, but that would be too easy and does not have the same dramatic fear factor that the headlines like to produce on behalf of remain. Surely the point is that we don't actually know. Obviously it's extremely unlikely, but it is possible. What we do know is that the element of doubt, however tiny, would most certainly not be there if we weren't leaving the EU at the end of March. Again, the whole Brexit thing proves itself to be governed by nothing more than a finger in the breeze. PMTM may as well hang some seaweed outside number ten and hope that gives her some answers, or ask that rodent thing in the US (no not Trump, the other one...). CJS wrote: Surely the point is that we don't actually know. Obviously it's extremely unlikely, but it is possible. CJS, of course you are right, but look at from the exit voters side they have been insulted and vilified by a large number of people on the remain side who have never said 'they don't actually know' those remain voters have stated quite categorically that they know for a fact that Brexit in any form will be an unmitigated disaster, even before the result of the referendum was known, you know the remain chicken little syndrome dubbed Project Fear, and other than the pound dropping nothing has happened in any form like those predictions they made, and to a certain extent still do make. Yes there is doubt and uncertainty, for some it is a fear of change, in some cases insecurity in making their own decisions, and in other cases using Brexit to justify something that they were going to do anyway but don't want to be on the receiving end of the fallout, and there will obviously be those who are genuinely concerned and should actually read what both the EU and UK government are actually stating in the documents they have produced, rather than the headlines in the media, so you can surely forgive the cynicism of the exit voter when you start reading stuff from the SNP like that on shipping from the far east, and all the other headline doom and gloom predictions that are caveated by the use of 'we think, it could happen, it might happen, it is possible, it is likely and other such phrases. Brexit might not be the unmitigated disaster that remain claim it 'will' be, it might be the best move that the UK has made economically and certainly politically (one hopes) as the elite in government have been given a big kick up the backside that the next GE will reinforce, in that the people of the UK have had enough of the old way that they have been doing things in our names, but if half the voters keep up the defeatist attitude that will be why brexit risks being less of a success than it should be if they used their energy and intelligence to make it work just think where economy of the UK could be. However, that is my view and is no less valid than the remain voters view, I know that won't be acceptable but it is merely a fact of life. Kettle, this is pot....message, over. Pot, this is kettle....send, over. Kettle, this is pot....message reads - BLACK...I repeat, BLACK....pot out. Transit times from the Far East? Don't believe everything you read on the internet -- surprisingly to some, there are still plenty of slow ships out there ( cruising speeds of 7-8Kts )....and 6-8 weeks only applies to the faster ( 10-12Kts ) ships if they take the most direct route, don't get slowed by bad weather & don't get delayed transiting the Suez Canal, oh, and don't have to call at any other ports en-route. People think leaving the EU will be an unmitigated disaster? It most likely will be for the foreseeable future if we leave under WTO Rules. Hell, even the ERG members such as Mogg openly admit that it could take 10 years or more to sort out meaningful deals if we do so.